Are you going to leave? It’s not yet that close to daytime. That was the nightingale--not the morning lark--that just made that loud, piercing cry. The nightingale sings every night on that pomegranate tree over there. Believe me, love, it was the nightingale. It was the lark--always a sign of morning--and not the nightingale. Look, love, see the sun streaks lacing through the severe clouds there in the east? The stars have disappeared, and the cheerful day is reaching up over the eastern mountaintops. I have to go and live, or stay here and be killed. Yon light is not daylight; I know it, I. Therefore stay yet; thou needst not to be gone. That light over there isn’t daylight, I know that for sure. It must be some meteor the sun breathed this way to light a lamp for you tonight so you can see your way to Mantua. So stay a little longer, you don’t need to leave. Let me be taken, and let me be put to death--I’m happy as long as you wish it. I’ll say that gray light is not the morning, just the smallest reflection of the moon goddess’ face. Nor is that sound the lark with its notes echoing in the heavens above us. I have more impulse to stay here than will to leave. Cynthia was one of the names for the Greek goddess of the moon—hence the "pale…brow." I have more care to stay, than will to go. It is, it is. Hie hence, be gone, away! Come, Death, and welcome! Juliet wills it to be this way. How are you, my love? Let’s talk, it’s not yet day. It is, it is. Go, get away from here, away! I admit it is the lark singing, sounding so out of tune and sharp in this moment. Some say that the lark has an excellent sense of rhythm and time. It’s not true, since she’s dividing us as well. Some say that the lark and the toad switched eyes. Now I wish they’d switched voices as well, since that voice is ripping us from each other’s arms, and people will be hunting you. Oh, you must go away, it’s getting more and more light! Some say the lark and loathed toad change eyes. In this metaphor, the voice of the lark is hunting, or chasing, Romeo away by singing the 'hunts-up," which is a song played to wake up hunters in the morning, like the trumpet call reveille in the military. The lighter it gets, the darker our sadness becomes. Your mother is coming to your room. It’s past daybreak, so be wary, keep watch. May the window let daylight in and you, my life, out. Your lady mother is coming to your chamber. Art thou gone so, love, lord, ay husband, friend? Farewell, farewell! One kiss, then I’ll descend. Are you gone just like that, my love, my lord, my husband, my friend? I must hear from you every hour of every day. Every minute without Romeo will seem like a day, and I shall be very old before I see you again, my Romeo. Goodbye. I won’t miss any opportunity to send you my greetings, love. O thinkest thou we shall ever meet again? Oh, do you think we will ever meet again? I have no doubt that we will, and all these sorrows we’re feeling now will be nostalgic memories we’ll look back on in the future. O God, I can’t stop imagining bad things happening! I feel like I can see you in a miserable state, as if dead in the bottom of a tomb. Either my eyes are failing, or you look very pale. Trust me, love, you look pale to me too--sorrow drains away our blood. Adieu, adieu! Either my eyesight fails or thou lookest pale. And trust me, love, in my eye so do you. Oh Fortune, they all say that you are fickle. If you are so fickle, what are you doing with my Romeo, who is well-known for his faithfulness? Be fickle, Fortune. If you are, I have some hope that you might change your mind and not keep Romeo away so long, but bring him back instead. Hello, daughter! Are you up? Who’s calling? Is it my mother? Has she stayed up late, or is she up early? What has happened to make her come to my room at such a strange hour? Still weeping for your cousin’s death? Would you try to wash him from the grave with tears? Even if you could, you couldn’t bring him back to life, so stop crying. A certain amount of grief shows a large amount of love, but too much grief makes you seem stupid. Still, let me weep for such a heavy loss. In that case you will feel the loss, but the friend you weep for will not. If I feel the loss so much, I can’t help but keep crying for my friend. Well, girl, I suppose you’re weeping not so much for Tybalt’s death as you are for the fact that his killer still lives. 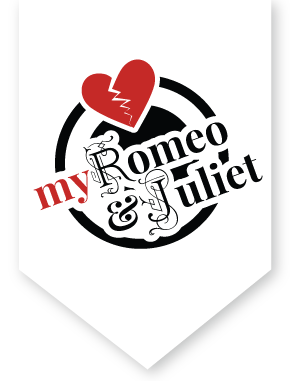 Juliet weeps for her feeling of loss; her heart felt the loss of Tybalt. Her mother takes the opportunity for a bit of wordplay, saying that although she can feel the loss, she cannot "feel" Tybalt since her weeping will not bring him back. May Romeo and all villainy always be miles away. God pardon him! I do, with all my heart, even though no other man could make me grieve so much. That’s because the traitorous murderer is still alive. Yes, madam, away from the reach of my hands. I wish no one but me could avenge my cousin’s death! We will have revenge for it, fear not. And then stop weeping. I’ll send someone to Mantua where that banished criminal now lives, and they’ll give him such a powerful poison that he’ll soon keep Tybalt company. And then, I hope, you’ll be satisfied. Indeed, I’ll never be satisfied with Romeo until I see him dead...dead is what my heart is like now on behalf of my cousin. Mother, if you could just find a servant to carry the poison, I’d fix it so that Romeo would be killed right away after drinking it. Is my poor heart for a kinsman vexed. Oh, my heart hates hearing his name, and I cannot go to him to throw the love that I had for my cousin upon the body that killed him! You find a suitable poison, and I’ll find a suitable servant. But now I have to tell you good news, girl. Joy is badly needed in this time. Please, mother, what is the good news? Upon his body that slaughtered him! That thou expectest not, nor I looked not for. Well, you have a thoughtful father, child. Your father, to alleviate your grief, has arranged a joyful day for you, which neither you nor I anticipated. What day is that, mother? Indeed, my child, it’s next Thursday in the early morning, when Count Paris, the gallant, young, and noble gentleman, will make you a happy bride at Saint Peter’s Church. I swear on the Church of Saint Peter and Peter himself, too, he will not make me a happy bride there. I’m amazed at this haste, that I have to get married before he’s even come to woo me, the man who wants to be my husband. Please, mother, tell my lord and father that I won’t marry yet, and when I do I’d rather marry Romeo, whom you know I hate, than marry Paris. What incredible news indeed! Here comes your father, tell him so yourself and see how he takes it from you. When the sun sets there’s a drizzle of dew, but my nephew’s death, the sunset of his life, has caused a downpour. What is it now, are you some kind of water pipe, girl? What, are you still crying? In your little body there’s a storm with a boat, a sea, and a wind. Your eyes are like the sea ebbing and flowing with tears, your body is like a boat sailing through the tears, and your violent sighing is like stormwinds that threaten to overpower your body as if it were a ship in a tempest. What about it, wife? Have you told her about my decision? Yes, sir, but she won’t have any of it, she just thanks you. I wish the silly girl were married to her own grave! What! Hold on, wife, hold on. What is this? She refuses? Isn’t she grateful for us? Isn’t she proud of her family? Doesn’t she count herself blessed, unworthy as she is, that we found such a worthy gentlemen to be her husband? I’m not proud that you’ve done this, but I’m thankful. I can’t be proud of something I can’t stand, but I can be thankful for anything if it was done with good intentions. How, how, how, how, chopped-logic! What is this? And yet 'not proud', mistress minion, you? What is this twisted logic! What is this? You’re proud and you thank us and yet you’re ungrateful and you can’t be proud? You spoiled brat, don’t give me any more of these thanks or this pride. Just get yourself ready for next Thursday to go marry Paris at Saint Peter’s Church, or I’ll drag you there, tied to a wooden frame. Curse you, you weak wretch, you piece of dead weight, you pale faced girl! Shame on you! Are you crazy? Good father, I’m begging you on my knees. Please just listen to me for a few words. Hang thee, young baggage. Disobedient wretch! Damn you, useless girl! Disobedient wretch! I’ll tell you what. Get yourself to the church on Thursday or never look me in the face again. Don’t speak to me, don’t reply, don’t answer. I feel like I could hit you. My wife, we thought we had been meagerly blessed having just this one child, but now I see that this one alone is too much, and we’re cursed to have her. Curse you, you beast! God in heaven bless her! You’re wrong, my lord, to yell at her like that. A hilding is a useless, broken down horse, which continues the horse metaphor Capulet started with the word "fettle." This is the first instance of “hilding” being used as an insult to describe a useless woman. Good Prudence, smatter with your gossips, go. Why, are you the Lady of Wisdom? Hold your tongue. Go talk to your fellow gossips somewhere, go. Oh God, good afternoon already! Am I not allowed to speak? Quiet, you mumbling fool! Go spread your wise advice to some gossip, we don’t need that here. O, God ye good e’en. God's bread, it makes me mad. I am too young, I pray you pardon me'. But, as you will not wed, I'll pardon you. Well, if you won’t get married, I’ll pardon you. Go make your way as you wish, but you won’t live under my roof. Think about it. Consider it carefully. I’m not a joking man. Thursday is coming soon--put your hand on your heart and take my advice. If you want to be my child, I’ll give you away to Paris in marriage. If you won’t marry him, get hanged, beg, starve, go die in the streets, for I swear on my soul I’ll never acknowledge you again, nor will I permit any family to help you. Trust that I will keep my word. I won’t go back on this promise. Is there no pity in heaven that can see the depths of my grief? Talk not to me, for I'll not speak a word. Oh my sweet mother, don’t cast me away! Delay this marriage for a month, even a week. If you don’t you should make my bridal bed in the crypt where Tybalt lies. Don’t talk to me, you won’t get a word in return. Do what you want, for I’m done with you. Oh God! Nurse, how can we prevent this? My husband is alive and I’m married to him in the eyes of God. The only way not to be married is if he were dead in heaven instead of here on the earth. Help me, advise me. What sayest thou? Hast thou not a word of joy? How can heaven inflict such a horrible situation on a young girl like me! What do you think? Do you have any words of comfort? I need some comforting, sweet nurse. Well this is it. Romeo’s been banished, and it’s almost positive that he’ll never dare to come back and challenge this marriage. Or, if he does, he’ll have to do it by stealth. Now, given the situation, I think it would be best if you married the count. Oh, but he’s a lovely gentleman! Romeo’s just a dishcloth compared to him! An eagle doesn’t have as good an eye as Paris does. By my heart I think you’ll be happier with this second match because it’s better than your first. Or, if it’s not, your first love is dead, or it’s as if he were, since you’re no use to him living here. Yes, and from my soul, too, or else a curse on them both! As living here, and you no use of him. Well, you’ve been marvellously comforting. Go inside and tell my mother that I’ve gone to Friar Laurence’s cell to make confession and be forgiven for my sins after displeasing my father like that. I will indeed, and I think that’s a smart idea. Damn old woman! Oh what a wicked devil! Marry, I will, and this is wisely done. Is it more sinful to tell me to break my marriage vows or to speak ill of Romeo like that when she’s praised him beyond comparison so many thousands of times? Go, my former advisor, you and my inner thoughts will be separated from now on. I’ll go to the friar to see if he has a solution. If all else fails, I still have the power to end my own life. I'll to the friar, to know his remedy.